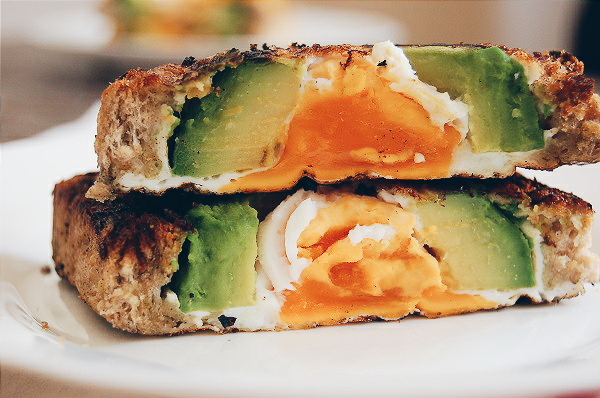 exPress-o: Egg In Avocado Toast. What is your favourite sandwich combination? 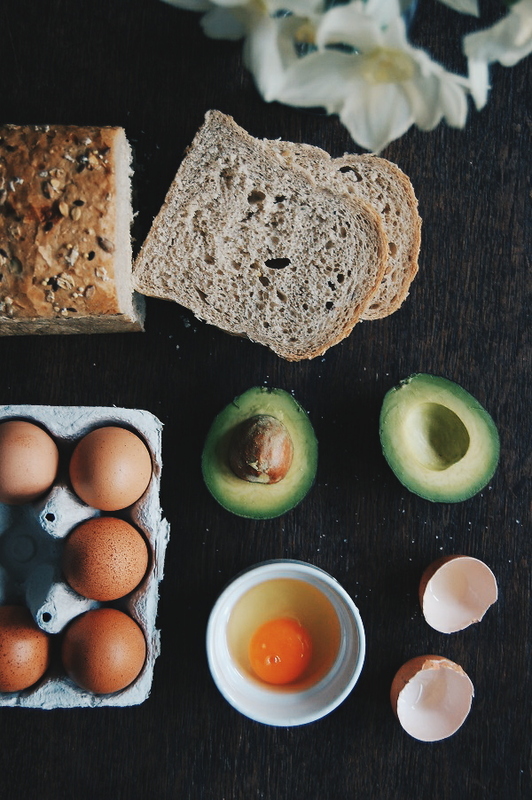 As for me, the answer is always avocado and eggs :) There is no surprise that many of us love this duo since it makes for the perfect weekday-meal packed with proteins, iron, fatty acids and fiber. 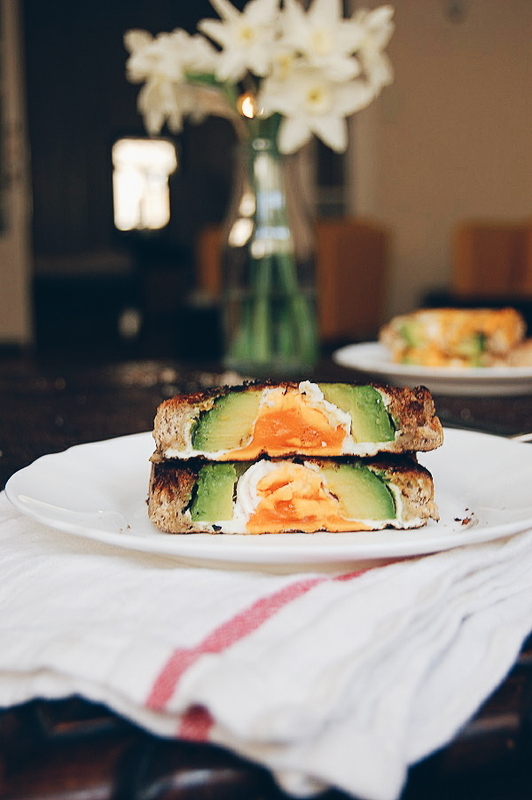 I don’t think I ever met an avocado sandwich I didn't like, but my most recent revelation is the 'egg in avocado' toast :) It’s a genius way to make all the flavours come together in one simple recipe – with no extra dishes to wash and no extra fuss. It’s rather clever! How to: cut a hole in a thicker slice of your favourite bread and butter it on both sides. Next, cut half of an avocado into one larger ring and jam it into the bread hole. 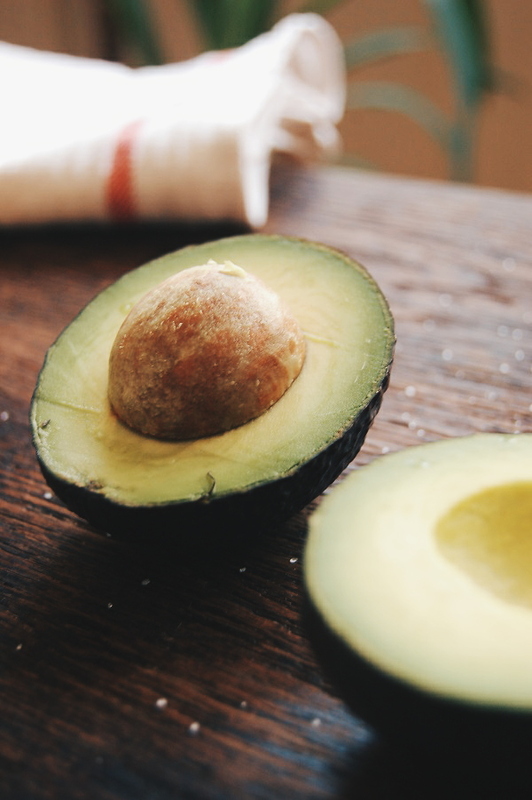 Place it in a pan on low heat with a dash of extra butter and crack an egg into the avocado hole. Next, season it with salt, pepper, chili flakes (optional), cover it with a lid and cook till the egg almost sets. Flip it, cook it for an additional minute or so and ta dah! P.S: Also, miso + avocado 5-minute egg cup and eggs baked in potatoes. P.P.S: Plus, seven more quick and healthy lunch fixes. OMG! Awesome idea! I love avocado! This sandwich sounds perfect! Looks awesome! Will try it sometime for breakfast this week! Also, we just bought some miso because my husband loves miso kabetsu (cabbage dipped in miso paste), so it will be great to try the other easy recipe you mentioned, too!